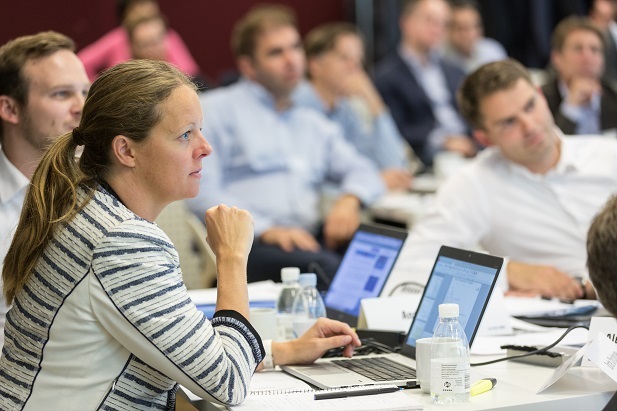 Keen to pursue your Executive MBA in Shipping with Copenhagen Business School?Meet with Irene Rosberg for a one-on-one meeting to know more about the programme. The CBS Executive MBA in Shipping and Logistics aims at giving you unrivalled insight into shipping economics and modern management theories and their application in the maritime sector. The programme adopts a holistic view of shipping - integrating commercial, technological and financial aspects as well as maritime law and supply-chain management, and leadership challenges - which is unique. Upon graduation, you will have developed a complete understanding of the challenges in this sector. The programme will take you to the top international level in business administration, reflecting the needs of the industry in a world, where globalisation, enhanced competition, and the speed of technological change place ever-increasing demands on executive management skills. for the candidate’s company, the aim is to have a strategic issue thoroughly analysed, with proposed solutions and implementation plans. The CBS Executive MBA in Shipping and Logistics is a modular programme with eight week-long modules over the course of 22 months, supported by a virtual platform. Individual/group assignments and group discussions enhance the learning process.